With holiday travels long over with and summer vacation months away, now is the perfect time to break out of your routine and go on a long romantic weekend with your significant other. If you can time it so that it falls on Valentine’s Day, even better! But we think it’s possible to fill any weekend with love. Here are a few weekend trips we came up with to rekindle the romance. Take advantage of each other’s company and cozy up in a cabin. Whether it’s a fancy yurt or a picturesque ski lodge, the winter is a great time to enjoy Mother Nature. Picture this: a snowy forest surrounding your wood cabin, a crackling fire, a warm dinner and a bottle of wine. Now that sounds like a relaxing weekend! During the day, consider hitting the slopes or taking a horseback ride in the sun. There are many locations all over the Southeast that offer this type of getaway and allow you to customize your experience to your taste. If getting away from it all sounds like a dream, but getting outside isn’t your idea of a good time, simply enjoy one another’s company. If imbibing doesn’t sound like your cup of tea, consider booking a spa getaway for two. Many spas and wellness centers now offer comprehensive couples treatments that will allow the both of you to relax simultaneously while still having a little fun. If you think your significant other won’t submit to a pedicure treatment, many spas and wellness centers offer various services that appeal to those looking to relax and those looking to get active. With thorough research, you can easily find a spa that fits within your price range. But don’t forget to get out and enjoy time together. Book healthy dinners for two and head outside for some physical activity. Another romantic destination is wine country, which can now be found on the East Coast! Reserve a room at a quaint bed and breakfast and you’ll feel right at home. Most B&B’s are conveniently located, but others are tucked away in hidden nooks. Use your days to book winery and brewery tours. Many vendors offer package pricing that allow you to actually get an insider look at how these beverages are produced. Once your tour is over, the best part starts! With a renewed appreciation for the process, the wine or beer will taste that much better. Use the rest of the weekend to explore the interesting towns that help foster these unique ventures. Go antiquing or browse through an independent bookstore. Grab a cup of coffee or listen to a live band. Traveling together is a great way to build upon an already stable relationship and also create new memories. It’s easy to spend a weekend at the mall, but things don’t last nearly as long as experiences. You can go for a weekend or you can go for a week, but no matter what you do, make sure it’s together. As soon as the weather starts gets a chill in the air, party invitations begin showing up in your mailbox. In addition to family get-togethers, the holidays are filled with plenty of social mingling. Whether you’re a hostess extraordinaire or bringing a drink to a pot luck style meal, a few tips can’t hurt during this busy season. So, we’ve compiled a few cocktails sure to please everyone. Just follow these simple instructions for straightforward party success! -Drink and enjoy! Yields 12 to 20. Whisk together half and half, milk, apple cider, eggs, sugar, cinnamon, nutmeg, and bourbon in a saucepan. Cook over medium-low heat, stirring occasionally. When mixture thickens (about 15 min), add bourbon. 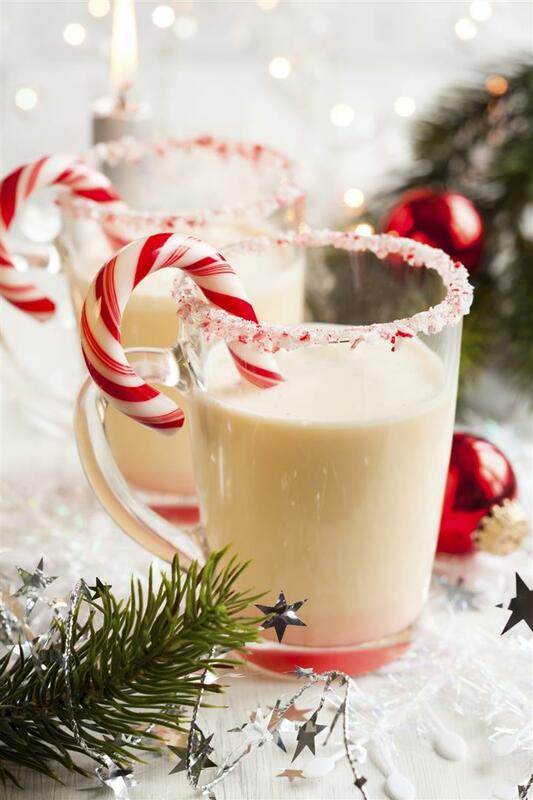 Top each glass with whipped cream and a cinnamon stick. Yields 5.5 cups. Beat softened butter, brown sugar, vanilla extract, and spices together. Place in the refrigerator up to month. And if you’re looking for something that tastes good, but still allows you to drive home, check out this mocktail recipe! -Combine water, sugar, ginger, one pear in a saucepan. Bring to a boil using medium to high heat. Strain and return mixture to pan. -Add the rest of the diced pears, cider, lemon and allspice and heat, stirring for 15 minutes. -Add cranberries and vanilla extract and reduce heat to medium-low. Simmer for 10 minutes and serve in mugs. Enjoy! Yields 10 servings. The first Monday of the month of September is always Labor Day. This year, you may be taking a mini vacation for the Labor Day weekend or just kicking back on September 3 (Labor Day). It’s a national holiday, so every full-time worker in America gets the day off. But why do we get a holiday? What are we celebrating? We’re celebrating America’s workers and the contributions they have made to make our country prosperous and strong. In other words, we’re celebrating you. Originally celebrated on September 5, 1882 in New York City, the celebration became nationally recognized in 1894. 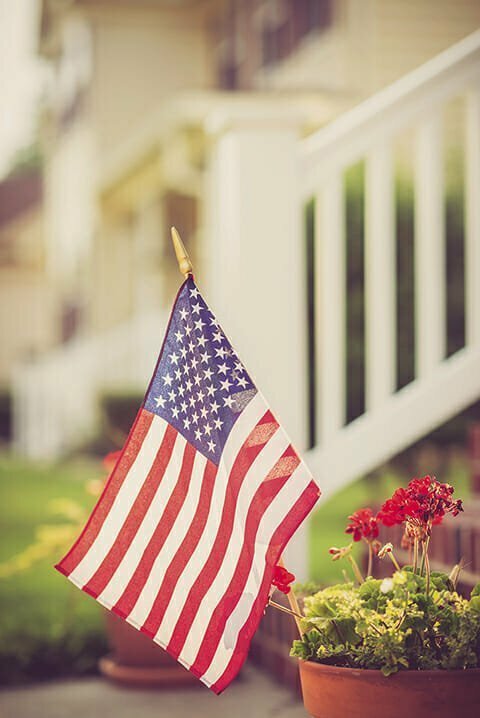 Today, we often associate Labor Day weekend with trips to the beach, outdoor barbecues and grilling, parades, festivals and fairs, and even fireworks. If you’re an avid reader, greater Atlanta hosts the Decatur Book Festival on Labor Day Weekend, and in D.C. you can attend the Library of Congress National Book Festival. And for the more active individuals, Virginia Beach hosts Rock ‘n’ Roll Half-Marathon, which also includes a 5K and Mile in the Sand run. Other fun Labor Day events include beer and wine festivals, such as the Harvest Festival at First Colony Winery in Charlottesville, Virginia and the Brewmasters Craft Beer Festival in Houston, Texas. There are also music festivals (such as the Patsy Cline Music Fest in Winchester, VA) where you can celebrate any type of music you like, from folk to jazz. There are art festivals and even a hot air balloon festival in the Atlanta area. There are county fairs with pageants and pet shows and parades. There are even craft festivals, such as the Mile High Kite & Craft Festival on Beech Mountain. You wouldn’t believe the variety of things that people can celebrate on Labor Day. It is as varied as the types of jobs we work. Labor Day also marks the beginning of the NFL and college football seasons, but there’s still time for the baseball fans to catch a game on the weekend. Even if going to festivals or county fairs isn’t your thing, you can always kick up your feet and watch a game. Or you can celebrate Labor Day at the ballpark! With all of these awesome activities to do, there’s no excuse not to do something on Labor Day. But remember, the most important part of this holiday is celebrating you as a worker, whether you’ve worked in the past and have retired, or work presently. You are the reason for Labor Day, a contributing member of society. So go hunker down and read a book, run a half marathon, drink a glass of wine or a beer, watch the fireworks, enjoy the parade or festival, or take yourself out to the ball game. There’s plenty to do and it’s all in honor of you! When it comes to BBQ, most of us usually think pulled pork, on a bun, with a side of coleslaw and served at an outdoor event. And for the most part, BBQ is just that. 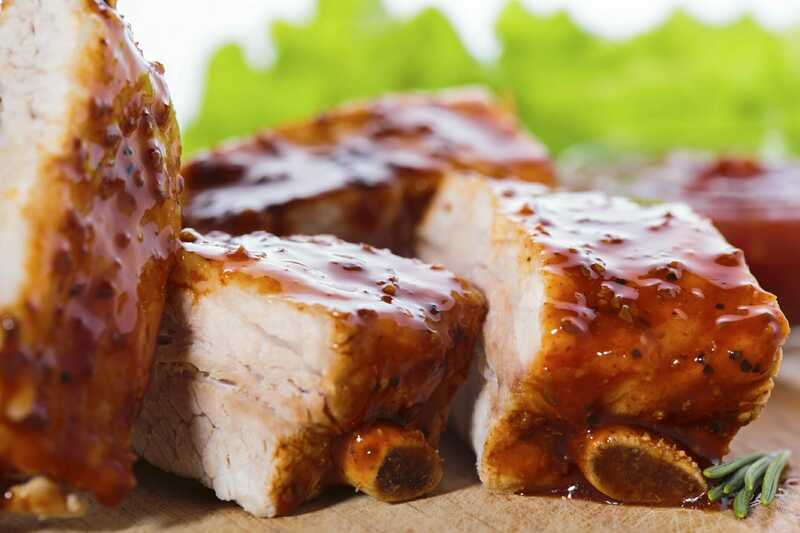 However, the BBQ battle continues to boil between the East and the West, the competition stemming mostly from the sauces used when making BBQ. And, both regions pour the loyalty on thick. Western BBQ is tomato based with definite tang, while eastern BBQ has a vinegar base with cayenne pepper to give it a nice kick. This Memorial Day, please them all and take your own mini-poll. May the best BBQ win…. In a medium saucepan over medium heat, mix cider vinegar, molasses, dry mustard, butter, cayenne pepper, Worcestershire and brown sugar. Bring to a boil. Mix 4 teaspoons cornstarch with 4 teaspoons cold water and slowly add to the sauce; simmer 1 minute. The sauce will thicken a little but will remain mostly thin as this is the type of sauce it supposed to be (it will also thicken a bit more when it cools). If you think the cornstarch became clumped in any way within the sauce, strain before pouring into a squeezable bottle. Serve over pulled pork. In a large stock pot, melt the butter over medium-high heat. Add the onion and sauté until soft and translucent, about 5-7 minutes. Reduce the heat to medium and add the ketchup; rinse the bottle with the water and add to the pot. Stir in the tomatoes, vinegar, sugars, molasses, mustard, lemon, salt and pepper. Bring to a gentle simmer and cook uncovered for 3-3 1/2 hours, stirring occasionally. Remove from the heat and allow to cool. Using a hand held immersion blender, food processor, or blender, purée the sauce in batches. Place a fine-mesh sieve over a large bowl and strain the sauce, pressing on the solids with the back of a ladle. Add the smoke flavorings to taste. Claudia describes Jasper Highlands as sophisticated. She and Larry are building a million-dollar home, and in return, she says, Jasper Highlands is “supplying million-dollar amenities.” From a gathering pavilion with fireplace to a helicopter pad on site in case of emergency, Jasper Highlands has everything including spectacular mountain views. “The company is taking care of you,” Claudia insists, describing the developer as “in it for the long run.” They aren’t out-of-state investors, but committed to the area, which is only twenty-five minutes from Chattanooga, Tennessee, recently voted as a top mid-sized city in America and a great walking city. Plus, the area around South Pittsburg, Tennessee and Kimball is already growing and developing. 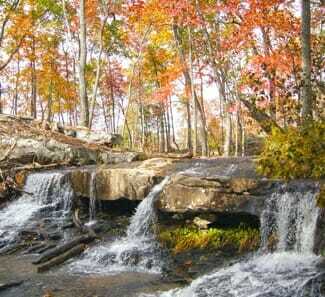 It’s beautiful, up-and-coming country, which is a big part of why Claudia and Larry wanted to move here. Claudia and Larry have loved working with Jasper Highlands and would recommend them. While they can’t wait to have their new home finished and ready to move into, the process of working with Jasper Highlands has been easy and satisfying. Claudia says she never felt left out of the process, which is what you want if you’re building your ideal home. You want to be in control, even if you’re halfway across the country. Jasper Highlands gives their clients this experience, gives them the control they want and need over the building and design of their home.